Photo – School Council Representatives years R to 6 inclusive/RRMC Co-Founder & Chair Elizabeth Williams, Co-Founder & Secretary Paul Williams and Principal Trainer Leon Hosking. Photo taken by RRMC Photographer Les Hosking. 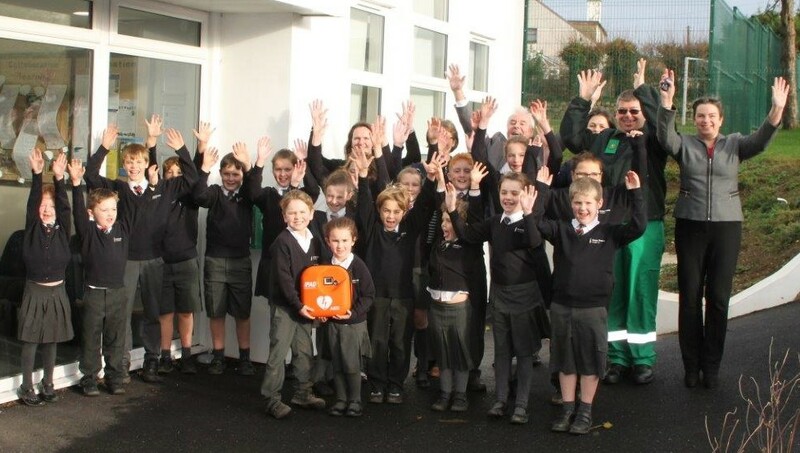 Gwithian-Gwinear Parish Council are delighted to have worked with the Friends of Connor Downs Academy to help fund life saving equipment at the school. It is the seventh PAD that Gwinear-Gwithian Parish Council has funded to help protect our communities, working with the Ronnie Richards Memorial Charity. We have also donated £1000 to Gwinear Primary School who hope to have their defibrillator in place very soon. 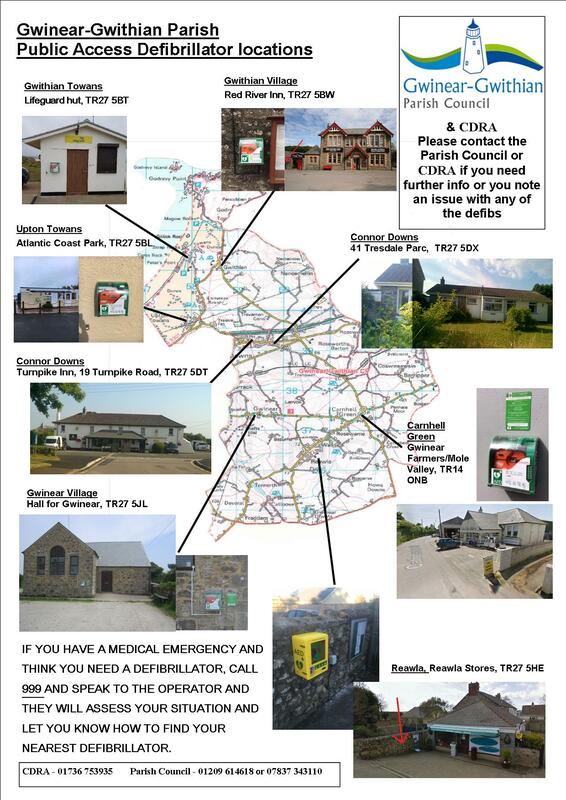 The Parish also has two further defibrillators in Connor Downs which are provided and maintained by Connor Downs Residents Association.